It’s almost Valentine’s Day and love is in the air; and February 15th is Singles Awareness Day. So whether you’re single or in a relationship, wanting to send something to a special someone, or just treat yourself, Swych wants you to have everything you need to enjoy this holiday. 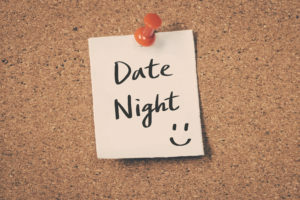 Whether you’re planning a big date night, a quiet night in, or just looking for a special treat for yourself or for someone you love, Swych has something for you! Everyone loves getting a special something delivered at work or home! Swych has that covered. Right now, you can save 15% on purchases of digital gift cards from $50 to $150 on select brands in the Swych app. These brands include 1 800 Baskets, 1 800 Flowers, Cheryl’s Cookies, Fruit Bouquets, FragranceNet.com, Harry & David, Lobster Gram, The Popcorn Factory, and Wine.com. With these choices, you can save now, and then use them to send the perfect gift basket, flowers, cookie jar, fruit, and more, on Valentine’s Day. Looking for something to send to Mom or Grandma? Grab a 1 800 Baskets, Harry & David or Fruit Bouquets gift card and send them something special on Valentine’s Day to let them know you care. 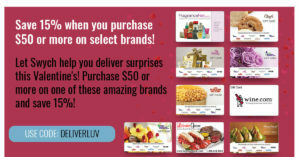 Maybe you’re looking for something to send to the special lady in your life, 1 800 Flowers, Cheryl’s Cookies or FragranceNet.com will make her smile on that special day. Planning a night with the gals and BFFs, Wine.com and The Popcorn Factory will make a perfect night with friends! And we don’t want to forget about the fellas either! Lobster Gram has got something perfect for the guys to throw on the grill! 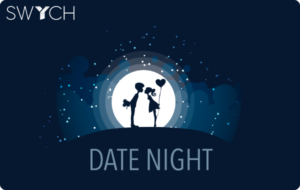 Swych has a Date Night card in the app and whether you want to send one or someone sent you one, the Date Night card is “Swychable” for over 60 brands! So no matter what your plans are, Swych it for something you and they will love! Let’s dive in and plan your date night! There are so many options in the Swych app that can satisfy any mood or craving whether it is seafood or steak, something on the healthier side, a fun night out or a quiet night in. 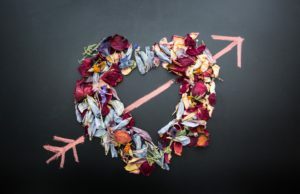 Most of us plan for a meal out on Valentine’s Day and Swych has some great restaurants for you including Strip House, Darden Restaurants, Carrabba’s, Top Golf (this always makes for a fun night out! ), Bonefish Grill and many more! After dinner, you can keep the night going with tickets to the Cirque du Soleil show you’ve had your eye on, or use your Wine.com or The Popcorn Factory gift cards and take it home to watch a movie on Hulu with some wine and a snack! Flying solo this year? Plan a night out with friends at Top Golf and make some great memories while you’re at it! Feel like staying in? Use that Wine.com gift card and enjoy a glass of red and that start that series you’ve been eyeing (Tidying Up, You, Bird Box, or catch up on last year’s movies and be Oscar ready!). Maybe you’re planning something special with the kids, use a Darden gift card for dinner, then take them to Pinkberry for a nice cold treat (if your town hasn’t been hit by the recent arctic weather). Don’t forget to treat someone special or treat yourself this year! Grab a Spa & Wellness gift card, you can even do a couple’s spa day for both of you! No matter what your Valentine’s Day plans are, let Swych help you plan and save money! Don’t forget to tag us on social media with #GiveGetSwych so we can see how Swych helped you create the perfect date night this Valentine’s Day.